Wednesday 7th May St John’s Church of England VA Primary School in Wellington went along to the Apple FM studios in the Duchess building at Musgrove Park Hospital. Their visit enabled the primary school children to talk to presenters, John Berryman, Paul Sands and Vivienne Cornfoot and demonstrate the equipment, they asked a range of questions and had a go at practice presenting in our 2nd studio. The children gained a great deal experience. 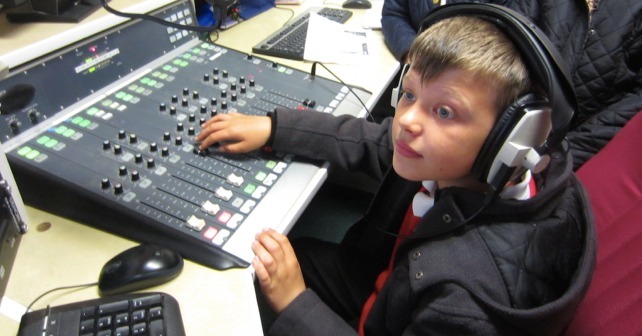 St John’s Church of England VA Primary School write to thank the crew, quoting “It was a truly memorable experience that will live with the children for many years to come and look forward to future collaborations between Apple FM and St John’s Primary School.